Drones are excellent devices that allow us to take stunning aerial photographs and videos. Today, I will be giving you a full tour of the Phantom 4 by DJI. 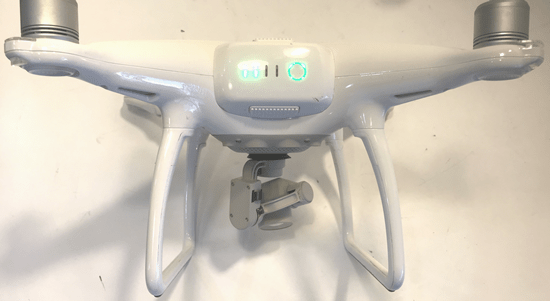 It was one of the best selling drones in 2016. I will be using the acronym “P4” in reference to the Phantom 4. 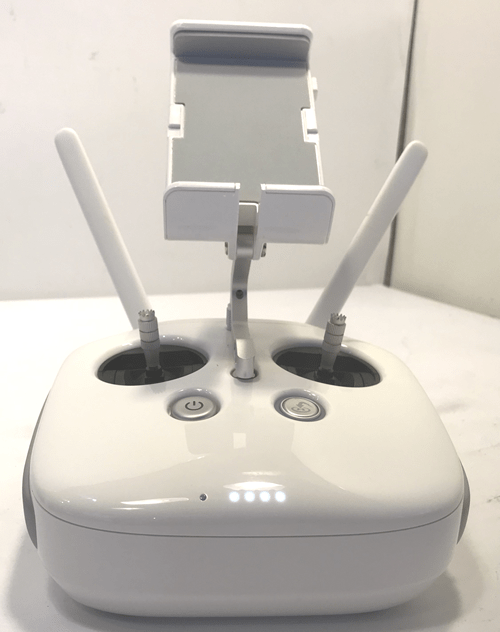 The goal of this write up is really to give you all that you need to know about the Phantom 4, which will include all the great new features and updates to the DJI Go app as well as the key differences between this model and its predecessor, the DJI Phantom 3 (P3). From just a visual standpoint the P4 retains the same basic design characteristics as the P3. So you can see the shape and the color and everything is the same. The P4 has a new glass finish and everything in the overall design is very sleek and clean. What is it about the P4 that has already established it as the best drone in its class? Well, the first thing that you’ll probably hear is that it’s the first consumer drone to feature obstacle avoidance and subject tracking. It is made possible by the front-facing vision cameras on the front of the copter. This was not available in the previous P3. However, in previous models, we’ve already seen downward-facing vision cameras used to keep the drone locked in its position in the air even when indoors and without help from GPS. 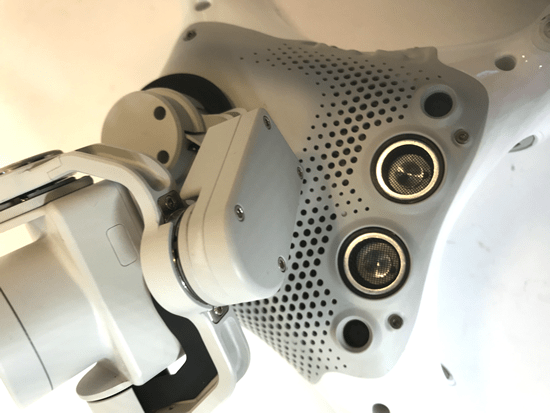 While the P4 still makes use of that positioning system, DJI has brought the technology to the next level using forward-facing stereo vision cameras. So, we have ultrasonic sensors and stereo cameras on the bottom as well as new stereo vision cameras on the front. 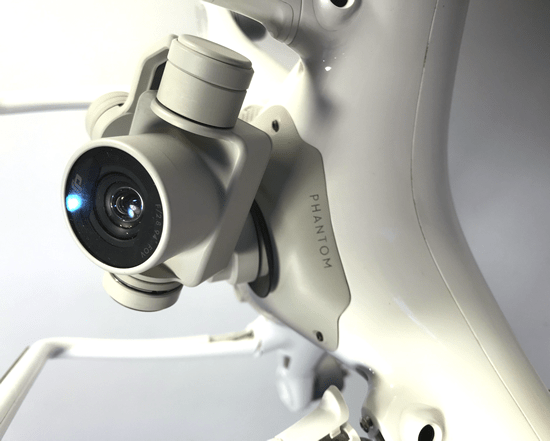 Using its new stereo vision system, the Phantom 4 can detect and avoid obstacles as well as track and follow operator selected subjects using a new feature in the DJI Go app called: Active Track. Active track mode allows you to select an object on your screen in the DJI Go app and the P4 will instantly create a depth map of the scene and the object in order to track and keep the selected object in the frame. The P4 even knows when you’ve selected a person. That is important because you can track people even if they turn or change positions. The next highlighted feature is the Tap-Fly mode. In Tap-Fly mode you simply tap on the live FPV screen and the P4 will fly a course in that direction. Even if you select a point that is lower than its current altitude, the P4 will continue descending until it reaches a minimum altitude setting. That by default is around 10 feet. It will still continue to move along the heading that you originally selected while maintaining that minimum altitude. It prevents it from hitting the ground. That brings us to our next highlight feature, which is Obstacle Avoidance. The Active Track and Tap-Fly functions alone are great features, however, it makes a world of a difference when you pair these features with the ability to avoid obstacles that may be in the way of your flight path. So, if that is not already enough, there is Sport Mode which is activated by a new switch position on the back of the controller. You’ll switch from P to S which stands for Sport. And this is going to enhance the performance of the P4 increasing the max pitch to 45-degrees. It will also increase the max speed from 36 to 45 MPH. This will also increase max ascent and descent speed. However, I will note that this is going to disable the vision system. Meaning that you will not have obstacle avoidance support in this mode. It’s also good to mention that apart from these flight modes and obstacle avoidance, you still have access to all of the same smart modes that were available with the P3. For example Point of Interest, Follow Me, Waypoints, Home Lock, Course Lock, etc. The camera on the P4 also shares the same sensor as the P3 Professional. So you’re still receiving beautiful 4K imagery and 12-megapixels. But only the P4 camera can do 120 frames per second in 1080 HD resolution. It is really great for you guys doing slow-motion imagery. I will also note, that even though the sensor is the same, they have updated the lens on the camera to support enhanced color and better glass. So, now I am going to go through and just look at the differences and updates to the P4 in terms of the hardware itself, starting with the gimbal. The first thing that you’ll probably notice here is a newly designed gimbal. Now it has two motors on each side of the camera to control the pitch angle. This is important because it provides stronger support on that tilt access axis and allows for greater efficiency for the motors. When we compare the mounting system with that of the P3, again you’ll see that it is much cleaner. 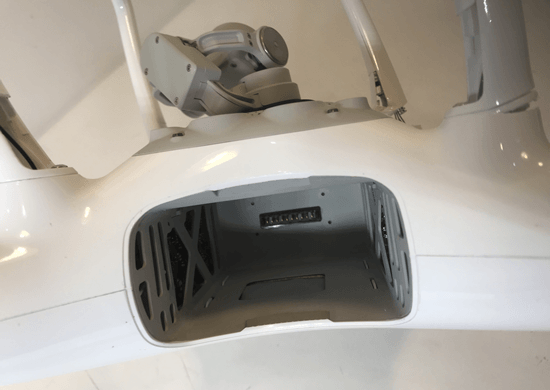 The vibration dampening system as well as well as the SD card and USB access slots have been moved up into the body of the aircraft. All of these components are brought together with a really well-designed bottom plate. Not only does the bottom plate help with the sleek design of the P4. It allows for full ventilation of breathability of the electronics. 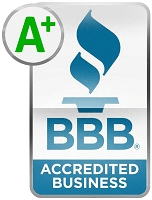 It’s actually made of a very light yet strong composite material. This is going to increase the structural integrity of the aircraft as a whole. Especially since all the new sensors and internal components cause the P4 to be just slightly heavier than previous models. The difference is only about 1/4 of a pound. 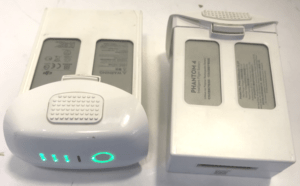 In order to support all the new components, DJI has developed a new battery made just for the P4. This is a larger capacity battery of 5350 milliamps. 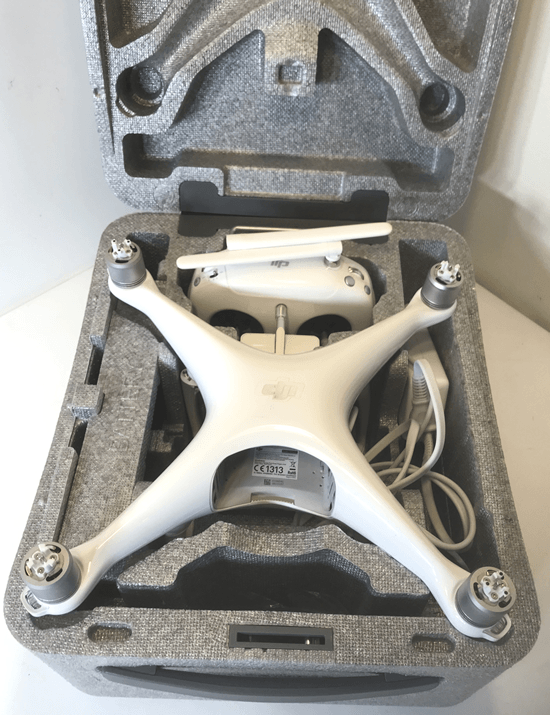 Due to its larger capacity and better efficiency in the motors, DJI has released the P4 with the rated 28 minute flight time. That’s almost 10 extra minutes in the air. In line with the modern design and look of the P4, you can see that even the battery compartment looks like something straight out of a Star Wars movie. Everything has been shifted around to make space for the larger battery and the new smart components. That brings us the arms. Just like the ventilation on the bottom plate, we also see an improved cooling system on the arms which are made up of cooling vents on the bottom of the arms. The motors have been raised up so that they are unobstructed by the arm design. This will allow for better airflow throughout. An additional benefit of having the motors raised even just slightly is that when the aircraft pitches forward you won’t see the propellers in the camera. You used to see the propellers come into view of the camera and this would disrupt your shot. However, with the motor slightly raised you’ll notice that this is going to happen way less often. Unless you’re in Sport Mode where the max pitch of the aircraft could be up to 45-degrees. 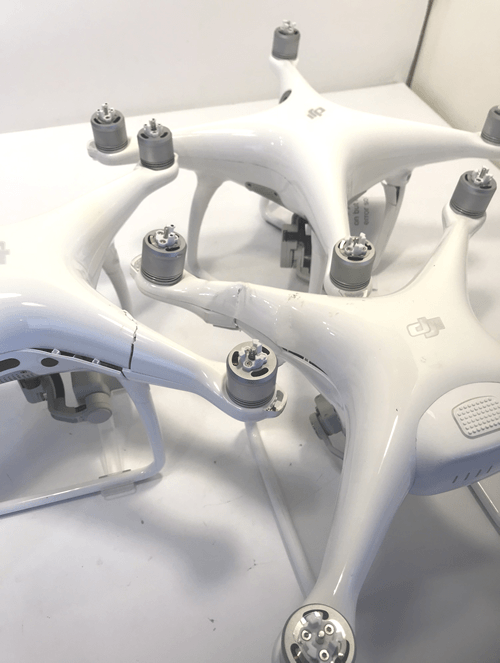 The P4 also features a new propeller mounting system which is a quick-release system. You simply turn and remove the props and do the same to secure them back into their position. And you don’t have to worry about the threads, or anything wearing out over time. 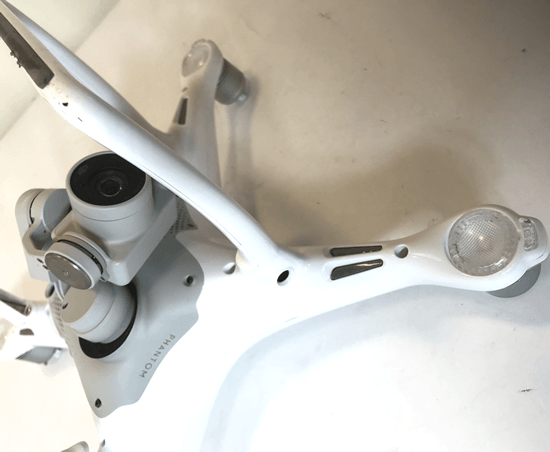 DJI also improved the redundancy compared to previous models with now dual compasses and dual IMUs, keeping everything nice and extra stable during flight. 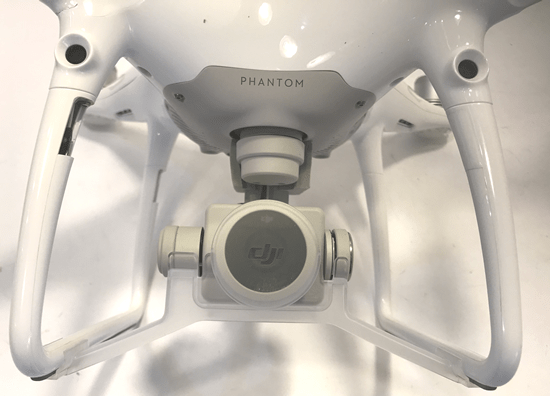 There is much to be excited about if you pick up the Phantom 4. Even though it’s not the newest drone on the market. Its upgrades from the previous Phantom 3 are incredible. It is sure to keep you entertained for some time to come.